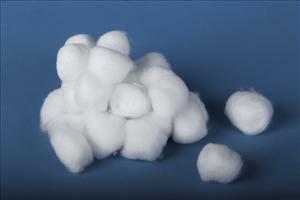 Pure white cotton balls are made from highly-absorbent 100% bleached cotton. Soft, compact and uniform in size and weight, they will not come apart when saturated. Non-sterile. Non-Sterile ' Large, 1¼" diameter.